Delight in the beauty of the tropical waters at sunset on a Key West catamaran sail! 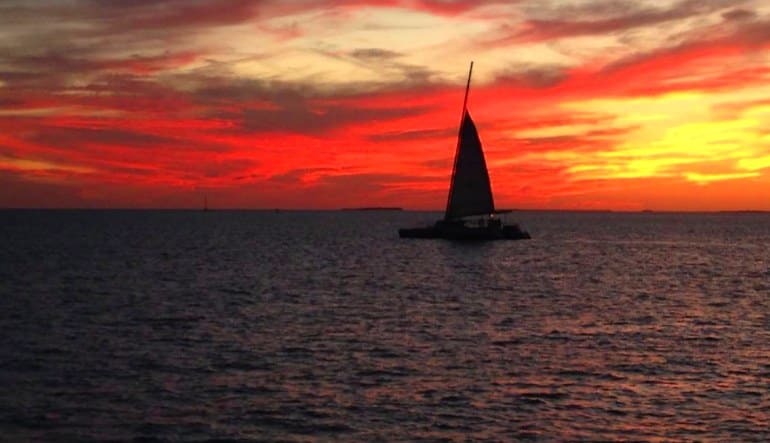 Delight in the beauty of the tropical waters at sunset on a Key West catamaran sail! Live music greets you as you board a custom-built sailing catamaran for an evening of picturesque adventure. As your captain and crew raise the sail, grab a complimentary beverage or tropical bite and explore the deck to find the perfect spot to watch the waves roll by. There’s no better seat to see the world famous tropical Key West sunset you’ll be treated to. Don’t miss out on the best way to experience the splendor of a Floridian sunset, book your sunset sail today!